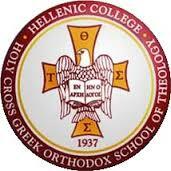 At Hellenic College Holy Cross Greek Orthodox School of Theology, our mission is to prepare men and women for leadership by creating an environment that fosters growth in knowledge, faith, and service. We work to cultivate these virtues in every student at our School. Pursuing a degree at Hellenic College Holy Cross is a rigorous and challenging academic exercise; it is a dynamic experience of growing in knowledge. Here, students are able, in addition to their questions outside of the classroom to discuss them not only with each other, but with their professors, who themselves are examples of people who see their work of cultivating knowledge as a true vocation, a calling from God. Because of its Orthodox Christian identity, the Hellenic College Holy Cross environment is not passive when it comes to the question of faith. It does not hesitate to raise the question of faith. On the contrary, it recognizes that faith is precious and that society gains when its leaders are grounded in faith after having devoted themselves to an experience wherein their faith can be deepened. Our School environment provides people with the opportunity to have such an experience.